Are you missing out on potential customers, or looking for a way to improve your customer’s experience? 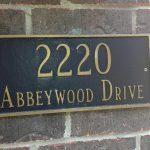 Attractive, professionally created signs and graphics by Made 2 Measure Signworks are your solution! 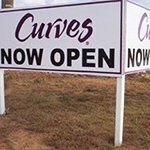 The best way to pique the curiosity of potential customers, motorists, or to entice customers to return is through a combination of cohesive indoor and outdoor signage. Having cohesive signage is a tell-tale sign that your company is professional and provides quality services or products. 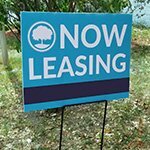 Additionally, your signage is an ideal way to introduce your brand to your target audience while increasing brand awareness throughout your community. By contrast, having poorly designed or executed signage elements will send the wrong impression to your potential customers. Poor signage often indicates poor service or products. Working with a professional signage partner is essential to ensuring that your customers, both returning and potential, see your company as worth their time and a place where they can get the products or services they need. 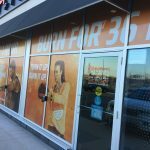 Call Made 2 Measure Signworks today at (647) 699-7654 for your Free Consultation! 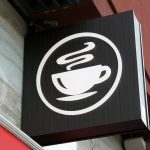 Many sign companies produce cookie-cutter signs at a low cost. They can be effective in a pinch, but they don’t provide any uniqueness and should you need any other form of signage elements, you’re stuck looking for another sign company to complete the job. 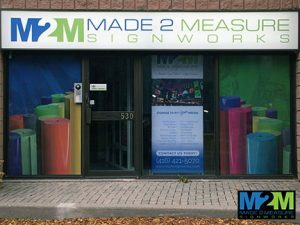 Made 2 Measure Signworks is a one-stop Maple signs & graphics company, who handles every type of signage your business could ever need. We not only custom fabricate all of our commercial signs, we also source our own supporting materials for every sign we make. Whatever your signage needs are, we are able to professionally execute for you. Our goal is to provide you with environmentally friendly products through efficient manufacturing and business practices. We utilize sustainable materials, machines, and practices that not only conserve energy but also reduces waste whenever possible. 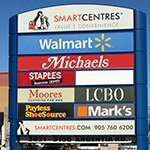 When you need affordable, high-quality business signage, we are your solution! 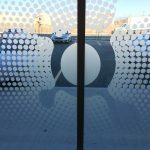 A leader in the signage industry, we fabricate a wide variety of signs from attractive storefront signs to powerful monuments and anything you could dream up. When you need a sign to drive your target audience to you, Made 2 Measure Signworks is here. We assist in every aspect of the signage process, starting from initial concept design, through installation and maintenance. Our local signage shop utilizes state-of-the-art machinery to produce the highest quality signs at an affordable cost. 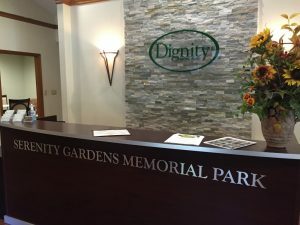 Our knowledgeable, dedicated sign designers will work with you to understand your goals and needs to help you create the ideal signs for your facility. 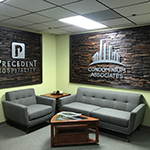 Whether you need an edgy storefront, professional lobby signage, wayfinding signage, or are promoting a special event, we create any element you need to meet your business goals. In order to grow your business, you need an effective technique to drive customers your way. 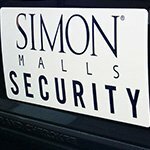 We create impactful, eye-catching signage solutions for all of your business needs. 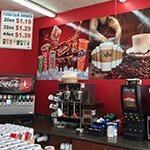 When you need to capitalize on potential customers, or want to spread your brand throughout your community, Made 2 Measure Signworks is here to help you accomplish your goals! 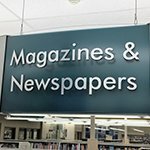 While every business is unique in its signage needs; many companies have similar needs such as manufacturing, service providers, retail stores, professional services/office buildings, or non-profit organizations. 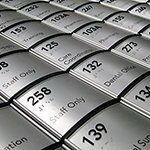 Having worked with these various industries, our insight into how they work, allows us to recommend the signage elements that would best suit your needs. 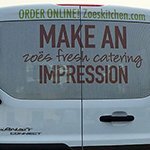 Our team can quickly identify different ways our signs will help you assist, attract, and engage new guests, clients or customers so you can continue to grow your business. When you need to improve your brand recognition and attract your target audience, the signage you choose will have a significant impact. 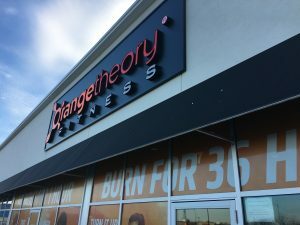 Working with a professional signage company that will listen to your ideas and goals and make recommendations based on your unique needs is essential. Made 2 Measure Signworks has the tools, resources, and knowledge to do just that. 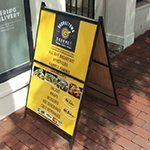 According to the International Sign Association’s 2017 study, exterior signage is the top reason for people to visit a local business they have never conducted business with before. 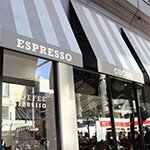 Make your storefront sign your top priority when establishing and promoting your brand! The type of outdoor signage you need to grab your customers attention, and ultimately convert and retain them, will depend heavily on your location, desires, and brand. 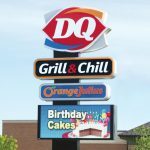 From LED signs, projecting signs, channel lettering signs, monument signs, and promotional signs of all types, we will create the ideal sign to get your business on the right path to attracting more foot traffic and customers, ultimately growing your business and bottom line. 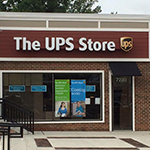 Your exterior sign sets your customer’s expectations. Your interior signs will then cement those expectations. For those expectations to remain positive, you need impactful and attractive cohesive signage to deliver your brand message professionally. The specific mix you choose will depend on your business type and needs. 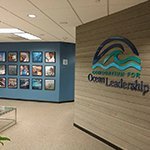 Retail stores often need promotional or event signage, while offices benefit from lobby logo signs. Schools require educational signage while manufacturing plants utilize safety procedure signs. 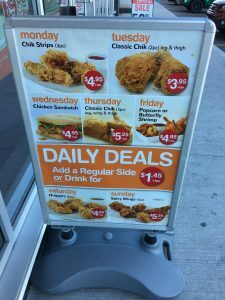 All businesses need wayfinding and ADA / Accessibility for Ontarians with Disabilities Act (AODA) Signage. 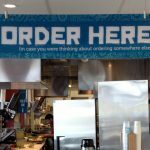 Made 2 Measure Signworks will create the perfect signage solution by identifying key signage elements for your business that will consistently provide an outstanding client or customer experience. 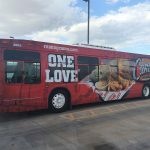 Nothing works harder at promoting your brand and increases your visibility better than impactful, cohesive commercial vehicle wraps. 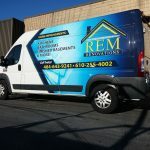 Made 2 Measure Signworks is your one-stop solution for all of your vehicle wrap needs. 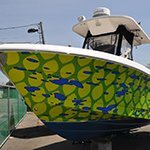 We provide complete design, manufacturing, and installation services as well as maintenance and repair, even if we didn’t complete the original wrap! 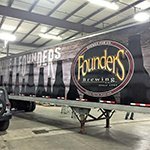 We specialize in fabricating any type of vehicle wrap for every vehicle type, including trucks or trailers, vans, semis, even ATVs or watercraft vehicles. 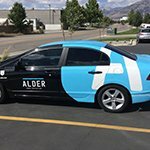 No matter where you go, parked or driving along the roads, your wrap will continue to spread your company’s brand and message! 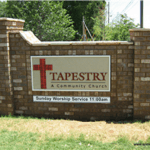 Made 2 Measure Signworks produces custom signs, tailored specifically to your business. 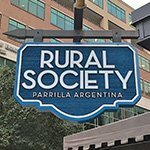 Our talented design team will ensure that every sign created is complementary and cohesive with your physical location, needs, brand, and budget. 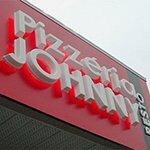 Custom signs allow companies to display the character and personality of their brand. 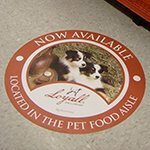 Custom designed signs allow you to get everything you need, including your brand name, fonts, logos, and unique marketing message exactly as you imagine. 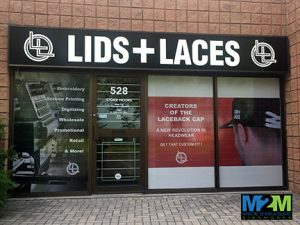 Regardless if you’re looking for attractive window signs, compelling storefront signs, or impactful ADA signage, we can design, manufacture, and install any signage your business needs to reach its marketing goals. 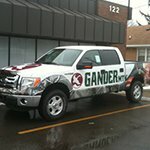 Looking for custom vinyl signs and graphics? We create those as well! 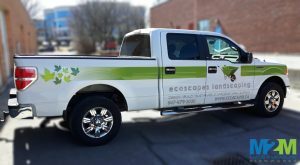 As a leading Maple signs & graphics company, we custom create all of the signs you need to increase brand awareness and drive targeted traffic to your business. 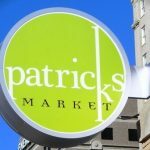 From single custom signs to a full line of cohesive signage, Made 2 Measure Signworks will produce the perfect signage solution for you! We start with a free consultation where we discuss your goals and get an understanding of your business, brand, and signage needs. We will discuss the intended use of your sign, when you need it, and how you would like it displayed. 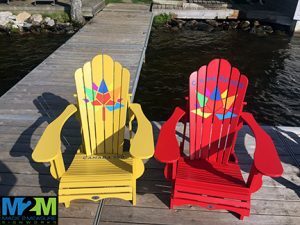 Once we agree on a direction for your signage project, we take our notes and any existing branding guidelines or elements you may have to our design staff. 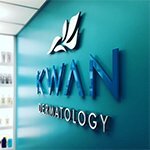 Our talented sign design team will review any files you have for your logo or creatives. We utilize these elements to create a design we feel best meets your needs. 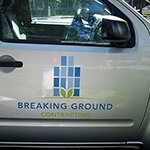 We will provide a proof for you to make any adjustments you desire and to get a better idea of how your sign will look and function with your space. 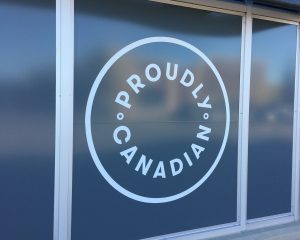 This is a perfect time for you to discuss any changes you need, such as colour, font, logo placement or brand messaging prior to the final sign creation. Once you’ve approved your final sign design, we move to manufacturing. Every project is managed on-site in our state-of-the-art sign fabrication shop. 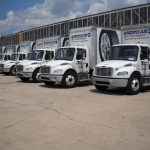 Our mission is to provide efficient production methods, saving you time and money. 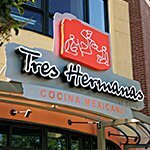 As a full-service sign company, we provide the signage elements needed to craft your project, as well as any supporting mechanisms your sign may require. We are dedicated to effective production methods, proving superior signage at affordable rates. Our installation team handles every aspect of the installation process to provide you with a worry-free experience. 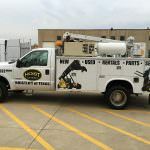 Our team will ensure that your signage meets all compliance and permitting requirements, as well as ensuring all electrical components are properly installed and secured for safety purposes. If you ever need assistance with sign maintenance or repair, Made 2 Measure Signworks is here for you through every stage of sign ownership. At Made 2 Measure Signworks, we know that attractive, high-quality signs make a significant impact on your ability to attract and retain customers and clients for your company. 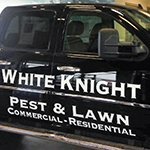 We are dedicated to providing you with superior customer service and signage to help your business grow. If you aren’t happy with your sign, we’re not happy, and we will do everything we can to make things right. 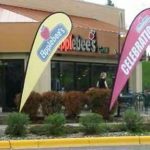 We are the Maple sign company that you can depend on for all of your signage solutions, now and in the future. 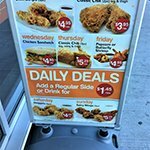 Contact Made 2 Measure Signworks today at (647) 699-7654 for your Free Consultation with a Signs & Graphics expert!